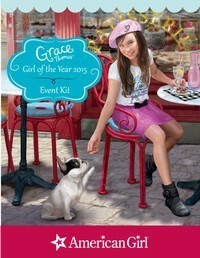 Bake up an in-store event to get girls excited about the new Girl of the YearTM 3-book series—no oven is required! With an easy-to-download planner, speaking points, and tips, plus activities, games, and handouts, your Grace®-inspired event is certain to be a success. Tailor the event to suit your store by including as many of the downloadable activities as you like.